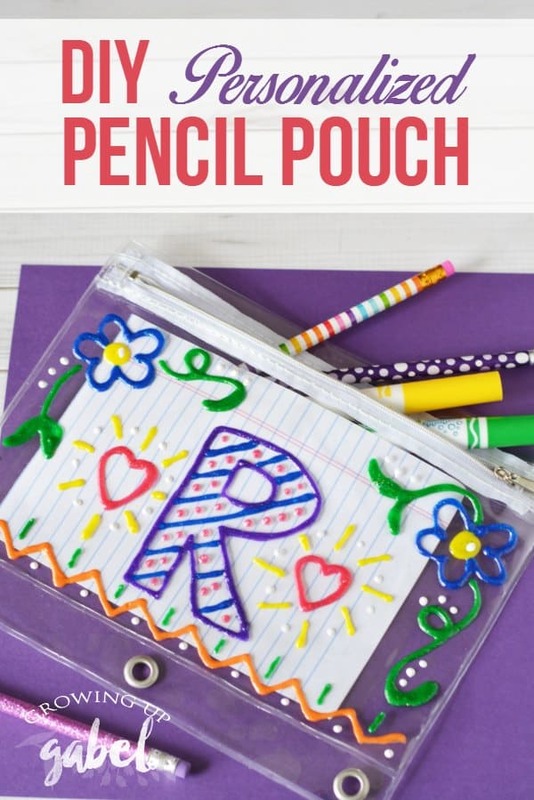 Make a DIY pencil pouch that is one of a kind using an inexpensive zippered pencil case and colorful puffy paint. My kids love getting their back to school supplies list. I however just see money signs. I swear the lists get longer and longer every year! This year my daughter is going in to 4th grade and her list was pretty specific about the type of pencil pouch she needs. It must be a pouch, not a box, and fit in a binder. Well, my daughter loves cute little pencil boxes so this was quite a blow to her school supply plans. But I assured her we could find a way to make a fun pencil pouch that fit in her binder. 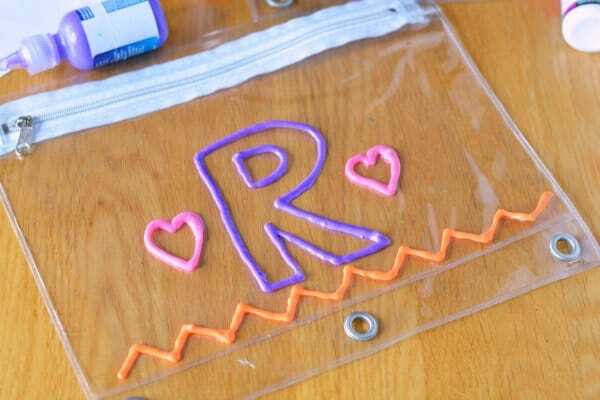 This is a super easy craft that kids can do on their own. 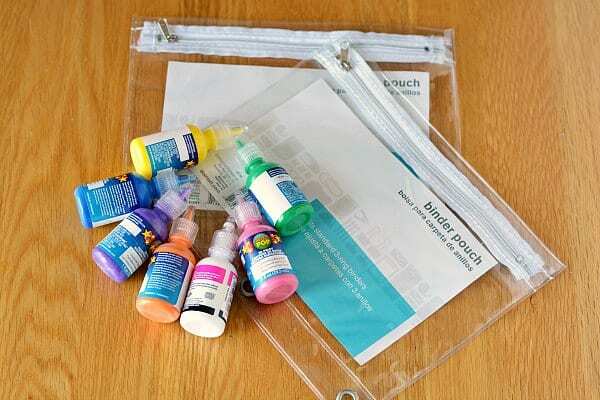 All you need is a pouch and some paint. 3D paint – we used red, green, orange, blue, purple, yellow and white . Neon and glow paint would be fun, too! On a protected flat surface, lay your pencil case. Decorate it with paint! Let dry 24 hours until completely set. These would be great for travel binders for road trips and airplanes, too! Cute pouch! Puffy paints bring me back to my days. Will have to do such a craft with my 8 year old. This looks great and so colourful. I loved my pencil case when I went to school. Thanks for sharing this DIY idea with us at #overthemoon. Have a great day! What a great idea to make it special!! Thanks for sharing with us at Throwback Thursday! 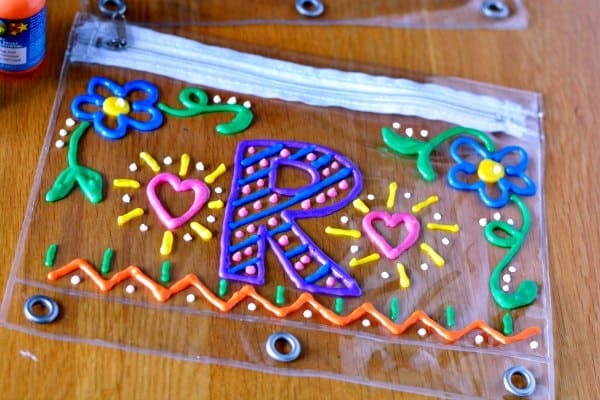 I love puffy paint and your pencil pouch turned out so pretty! My daughters would love one just like it! Thanks so much for sharing with us at Share The Wealth Sunday! I hope she loves it! It’s adorable. Frankly, I think these are way more cute than the standard ones. Way to go momma for creativity! If that ever a clever, fun, and original idea! I love when we can personalize things like this! Aw, that turned out really cute! Whata great way to override her disappointment! 🙂 Thanks for sharing your idea at the Family Joy Linkup! Hope to see you again next Sunday! 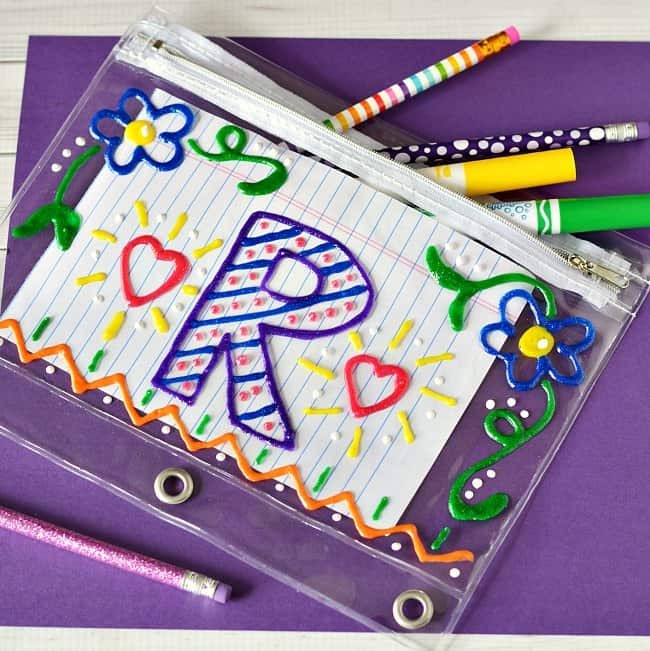 I love school supplies like this that you can personalize for that one-of-a-kind look!